A plaque of Allen’s favorite personal quote and business philosophy sits on the edge of his desk facing visitors. Since taking the helm of The Allen Morris Company in 1980 at the age of 28, Allen has propelled the real estate firm his father established in 1958 to monumental heights. The Allen Morris Company is today one of the largest diversified real estate companies in the southeast with offices around Florida and 79 development projects to its credit. Some of his key projects have won resounding praise, such as the landmark Alhambra Towers in Coral Gables named the “Top Commercial Project in Florida,” among 8 other awards. Allen is a recognized authority in the commercial real estate world, having appeared frequently as a guest expert on national programs such as Fox Business News, CAVUTO with Neil Cavuto, Fox Business Morning Break with Charles Payne, and in the Strategy Room with Eric Bolling. Allen Morris is a graduate of Harvard Business School. He earned his bachelors degree from Georgia Institute of Technology. As an undergraduate, he was awarded the American Management Association Award for Excellence as the top student in Marketing and Management studies. 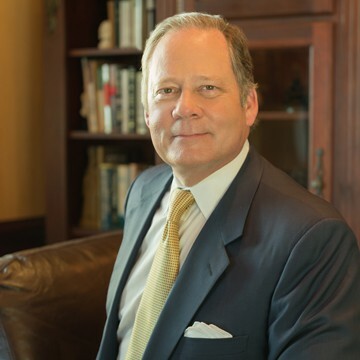 In addition to being an officer and director of more than 35 related real estate companies and president of three charitable foundations, Allen is past-chairman and advisory board member of Wachovia Bank of Miami. Allen is civic minded. He is a Rotarian, the former chairman of the Florida Chapter YPO (Young Presidents’ Organization) and WPO (World Presidents’ Organization) and a lifetime senior member of the Orange Bowl Committee. He has served on the National Board of Directors of the Boys & Girls Clubs of America, as well as the National, Florida, and Miami Association of Realtors, in the Board and Executive Comittee of The Greater Miami Chamber of Commerce and The United Way of Miami-Dade (Chairman of their VeritageMiami wine and food festival), and many local philanthropic boards. He is the recipient of the Institute of Human Relations Award given by the American Jewish Committee and the prestigious Hickok Award from the Young Presidents’ Organization. Allen has traveled extensively working with international clients, and served Florida on Economic Missions to Europe and Asia. He is also a licensed Commercial Pilot. For fun he spends time diving reefs as a certified scuba diver and just recently passed his fourth degree black belt and is a Tae Kwon Do Master. He has served as an elder in his church for more than 20 years, as well as National Chairman of Executive Ministries. Allen Morris is married to June Elizabeth Thomson Morris and has four children, two stepchildren and two grandchildren.